Sawtell on the Beach is a beautiful place to stay - perfect for your relaxing beach holiday or business stay in the Coffs Harbour Area. 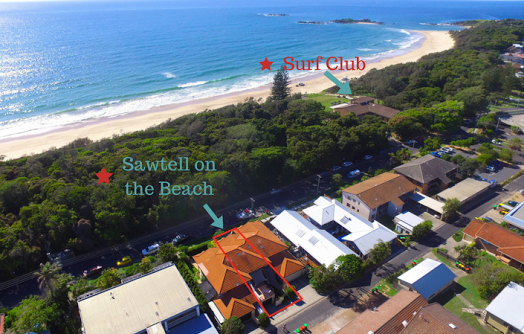 A beautifully appointed home in one of the best locations in Sawtell. We are a 4.5 star boutique luxury accommodation located across the street from Sawtell Beach and only a 3 minute stroll to charming Sawtell Village. Come relax and enjoy the intoxicating scent of salty sea air, frangipani flowers, and the calming sounds of the ocean.